Members of the Assisi Project are called to pray each day for the Church through the Liturgy of the Hours and for various intentions, especially for those who have asked us to pray for them. Please join in praying for these intentions and for the intercession of our patrons, Saint Francis, Saint Clare, and Our Lady of Angels. that icon of our crucified Lord. Help us to become free from the structures of sin that oppress our world. that is so capable of withstanding the snares of the culture of death. the joys of being able to forgive. the joys of reopening the doors of hope. Christ-like in his poverty and humility. Saint Francis, pray for us! Our Lady of Angels, pray for us! 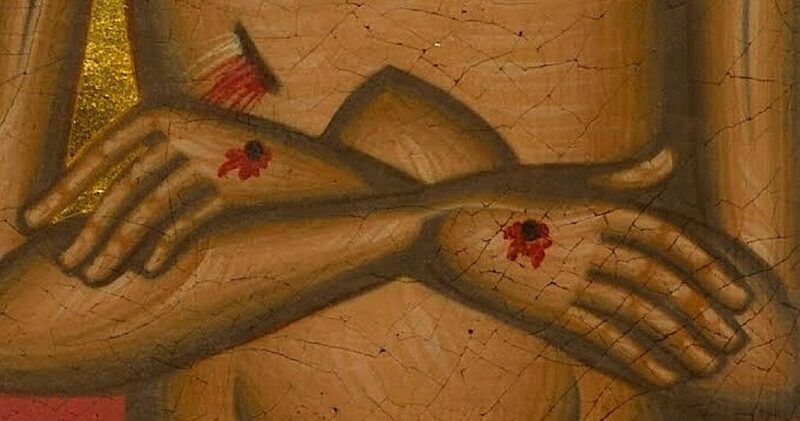 The preceding prayer was composed by Saint John Paul II during a pastoral visit to the Franciscan Sanctuary at La Verna in Tuscany, Italy, where Saint Francis of Assisi received the the stigmata, the five wounds of the Crucified Christ. Founded in 2007, the Assisi Project is a Fellowship of Franciscans in Spirit with members, friends, and followers in the United States, Canada, Europe, and Africa. We are dedicated to helping Christian believers of all ages to more faithfully live the Gospel of Christ in the spirit of Saints Francis and Clare of Assisi. The Assisi Project is a tax exempt non-profit charitable corporation. All donations support our ministry and our tax deductible. For more information about the Assisi Project and upcoming opportunities for faith formation, prayer, and pilgrimage in the Franciscan spiritual tradition, please contact Cliff Garvey at cgarvey@assisiproject.com. May the Lord give you peace!